I performed with Devon Baroque in the Great Hall at Dartington on Sunday 29th October 2017 for a concert entitled “Musical Battles, and the Trumpet, Naturally”. I performed Torelli’s ‘Concerto in D for trumpet and strings’ [G1] and as one of the four featured soloists in Bach’s ‘Brandenburg Concerto No.2 in F Major’ [BWV 1047]. Devon Baroque’s inventive programme featured battle-imitative music by Falconieri, Biber and others. The informative programme notes (compiled by the brilliant Andrew Wilson-Dickson) underlined the historical links to related composers such as Fasch and Telemann, and facilitated a structured and individual musical introduction to each of the four instrumental soloists who would be performing Bach’s ‘Brandenburg Concerto No.2 in F Major’ as the finale and (not just because of the tessitura) zenith of the concert. This ingenious programme also featured Devon Baroque itself (led by the superb Persephone Gibbs), who showed their own brilliance in Biber’s revelatory and exciting ‘Battalgia’, and of course elsewhere throughout the concert. There was a fantastic atmosphere at the concert; the Great Hall at Dartington was full to capacity and the view from the stage of the hammer-beam ceiling, imposing stone walls and colourful hanging tapestries certainly added to the aura of the Great Hall. I met several very interested members of the audience during the interval and discussed some of the intricacies of the natural trumpet, its construction and technique. On Saturday 29th of October we rehearsed in St. John’s Chuch in Bridgetown, just over the River Dart from Totnes. My girlfriend, Jo, had also come with me for this weekend trip and we stayed in Totnes with wonderfully accommodating and lovely hosts. 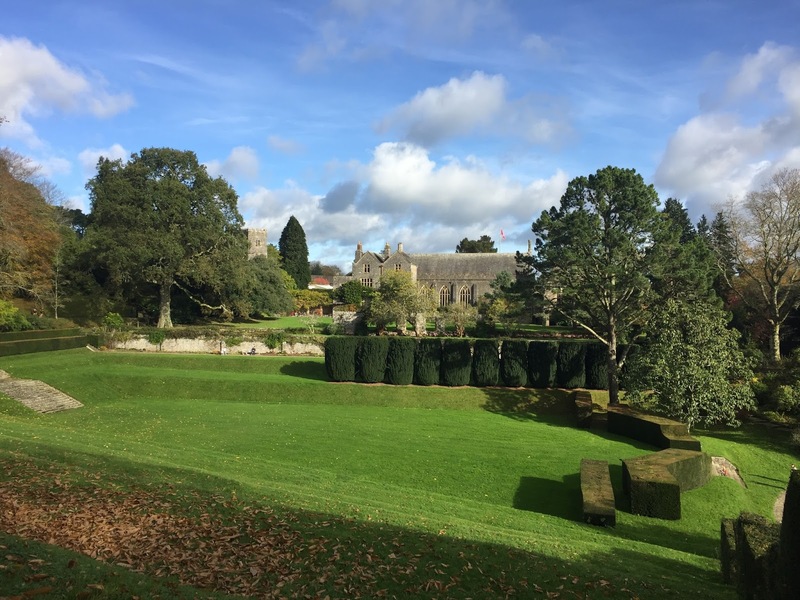 This allowed for a leisurely morning on Sunday and Jo and I decided to head to Dartington to explore the grounds and gardens before the rehearsal at 11:30. We got to Dartington before everyone else on Sunday and I actually proposed to Jo in the Great Hall. 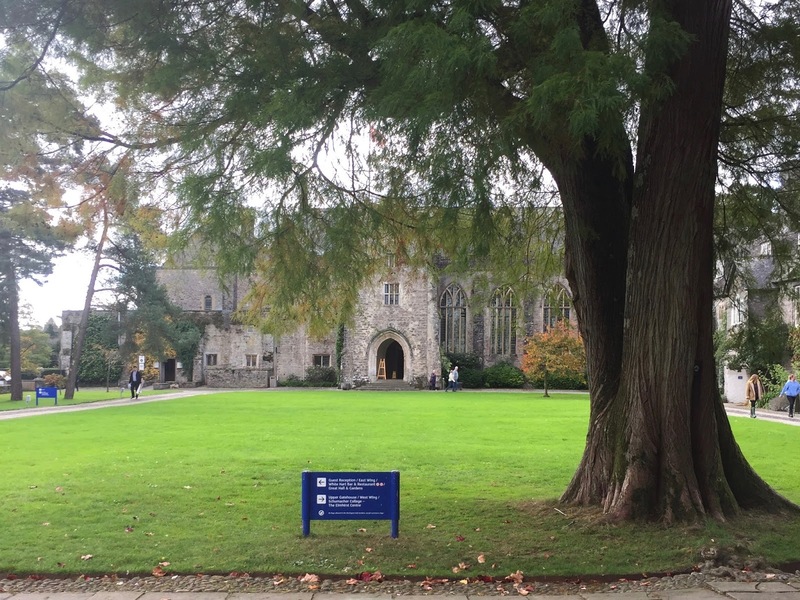 We originally met there (during Emma Kirkby’s concert) at Dartington International Summer School 2012. Fortunately, she said yes! We chose not to tell anyone in the orchestra on the day of the concert as we had not yet had chance to tell all the members of our families by that point. We were also a bit worried about somebody announcing it in the concert - we are both too shy for that! I would like to thank all of the organisers, patrons and hosts for organising this fantastic concert and for inviting me to play with Devon Baroque again. Recognition and thanks must also go to Persephone, Olwen and Hannah who were all excellent in their own right and in Bach's 'Brandenburg Concerto No.2 in F Major'. It was an amazing day, for many reasons, that I will remember for a very long time! Addendum: I couldn't hope to rival Philip Buttall's review of this performance - which really does hit the nail on the head! (I first saw his review on Tuesday 7th November 2017). I have added a few quotes to this article (below) and I strongly urge you to read the whole article on Seen and Heard International.